Explanation: What goes on inside of a galaxy? 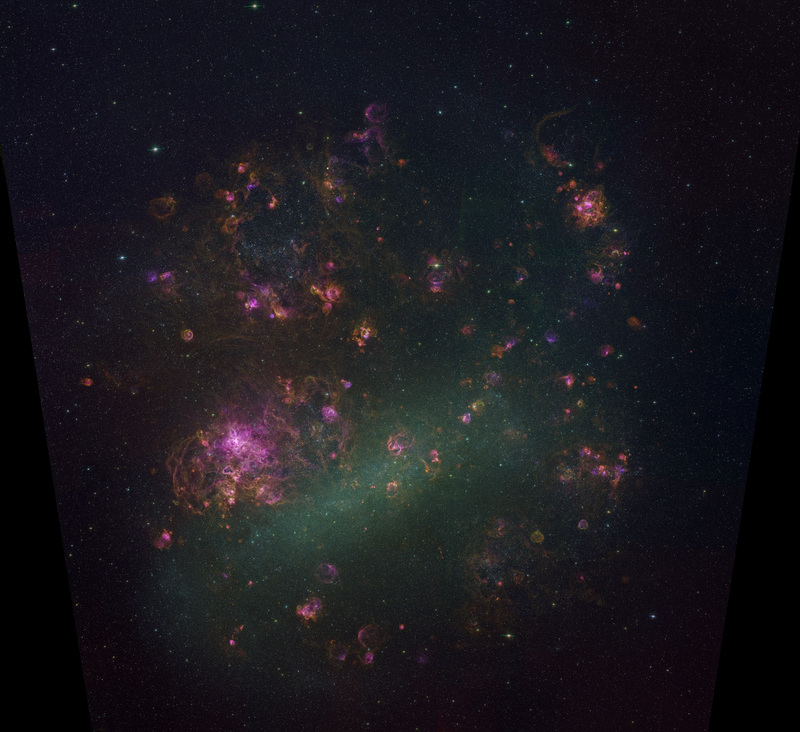 To help find out, astronomers from the Magellanic Cloud Emission Line Survey team imaged our neighboring LMC galaxy in spectacular detail and highlighted very specific colors of light emitted by glowing gas. The above mosaic of over 1,500 images of the Large Magellanic Cloud (LMC) is the result -- clicking on the image will bring up an image with much greater detail. The colors highlighted on the mosaic are light emitted by hydrogen (red), oxygen (green), and sulfur (yellow), while light from individual stars has been subtracted. The mosaic shows what a busy and violent place the inside of the LMC really is. Visible in the above image are many small planetary nebulas pushed out by low mass stars, large emission nebula of ambient interstellar gas set aglow by massive stars, and huge gaseous supernova remnants cast off by massive stars exploding. The extended connected filaments are mostly connected supernova remnants. 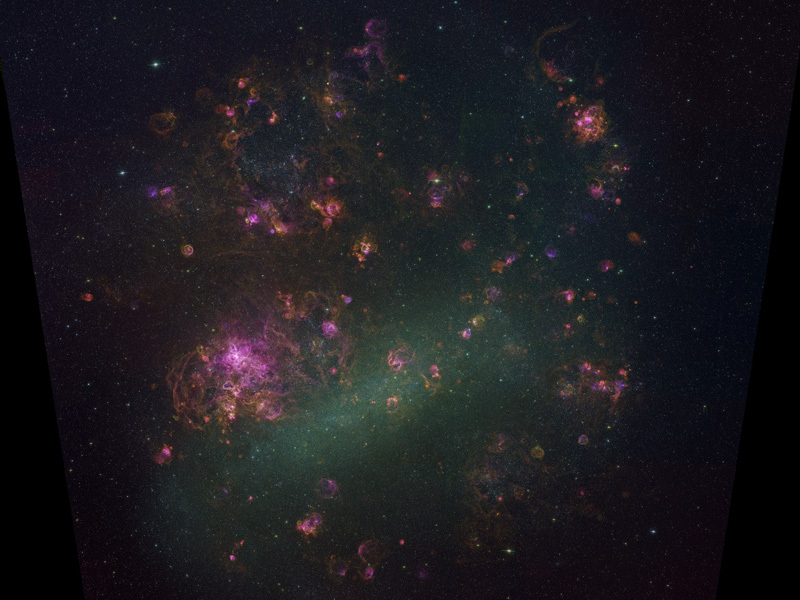 The LMC, a familiar sight to an unaided eye in the southern hemisphere, spans about 15,000 light years and lies only about 180,000 light years distant.